(d) The administration of grants-in-aid for the professional development of teachers and classified district employees. (c) One member shall be the building administrator or the administrator’s designee. (d) Other representatives shall be selected by the council. 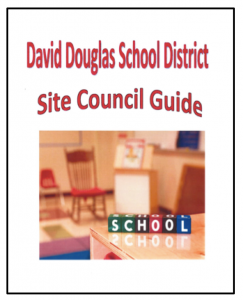 (4) If a school council cannot meet the requirements for composition as described in this rule or determines that the needs of the school require a different composition, the district school board may establish the school site council in a manner that best meets the needs of the district. (5) All site council meetings shall be subject to the open meeting law pursuant to ORS 192.610 to 192.690. (6) Nothing in this rule shall interfere with the duties, responsibilities and rights of duly elected district school boards.